/ Bring a Friend Week 2015! Bring a Friend Week 2015! The students at Scranton MMA are what make us who we are. We would be nothing without the friendly faces that walk through our doors every day. That is why we are holding our first ever Bring a Friend Week! Not only do our students put in hard work on the mats and in the ring every day, but they also have FUN! Bring a Friend Week will give everyone the opportunity to share these experiences with their best friends (or family members!). Along with the classes, we are also holding a raffle for our members AND their friends! All week, our members and their friends can enter the raffle, and we will announce the winner the week of June 29th. For our current members, we are raffling off a $75 gift card to Best Buy. 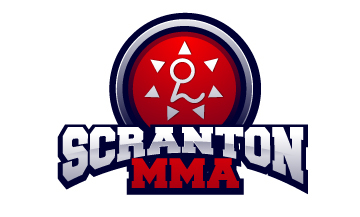 To enter, the member must bring a friend to Bring A Friend Week, and “like” Scranton MMA on Facebook. For our new friends, we are raffling off a FREE 6 month membership. To enter, they must attend our Bring A Friend Week event, and “like” Scranton MMA on Facebook. Remember, your friend must bring their Guest Pass to class. That will act as both of your raffle tickets! The raffle closes after we lock up for the night on Friday, June 26th. If you’ve been trying to get your friend to try classes with you, then this the perfect time! Everyone will be bringing their friends, so no one has to worry about feeling like the “new person”. Along with learning the basics of the martial arts we offer, we also want your friends to have fun and feel comfortable. So, tell all of your friends about Bring a Friend Week at Scranton MMA and come have some fun!